A dairy product of churned milk or cream, usually from cows. 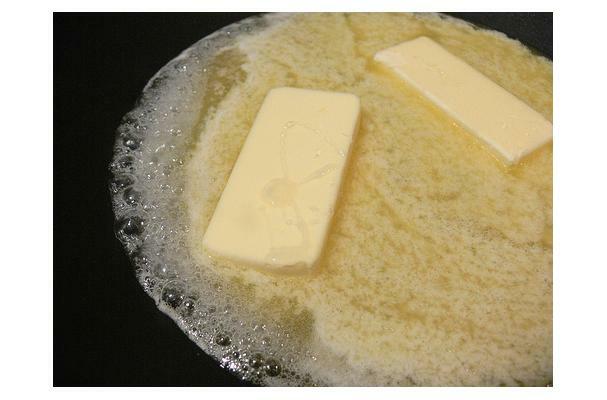 Butter is used as a spread and in cooking, for sautéing, frying, and baking. It remains solid when refrigerated, but softens at room temperature and melts at high heat. Commercial butter is about 80%% butterfat and 15%% water. India produces and consumes more butter than any other country, followed by the U.S. and then France.